Pennsylvania won an award again though there’s no reason for applause. For the third straight year we lead the nation in reported cases of Lyme disease. One could argue that we won because Pennsylvania is a big state with a large population, but we also have too many black-legged ticks, too many tick hosts that carry Lyme disease (mice), and too many deer carrying ticks long distances to other locations. Black-legged ticks are now present in every county in the state. What to do? In April I wrote about the many effective ways to reduce ticks around your house and protect yourself outdoors. But here’s an unconventional solution. Get yourself a ‘possum. Like all mammals, Virginia opossums pick up ticks in their travels but the good news is that they don’t carry Lyme disease and they groom so meticulously that ticks don’t stay on them for long. In fact, when a possum finds a tick on its body, it eats it! Weird as they are, possums have some advantages. They consume up to 5,000 ticks in one season and are practically immune to rabies and venomous snakes. 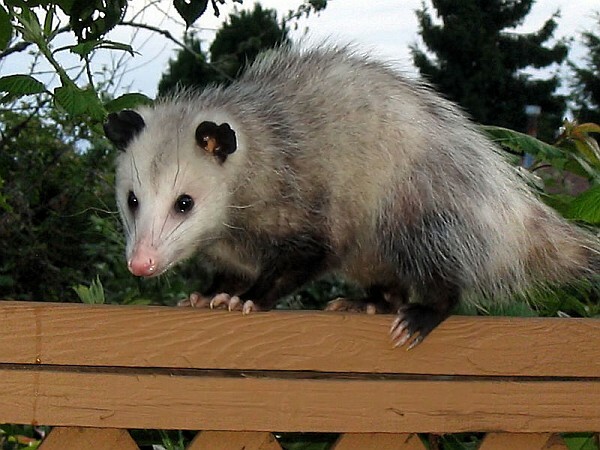 So as we do our best to combat Lyme disease — especially in May through July when black-legged ticks are so hard to see in their tiny nymphal stage — remember that having a possum in your yard is a good thing. Too many ticks? Hire a ‘possum! Well, I guess I will think more kindly of the possums in my yard, even if they do eat all of the birdseed out of the tray if I leave it on the porch. Glad to know they are not common as rabies carriers. Kate that is so interesting. I currently care for three semi feral cats and I also have possums in my yard. I was just saying the other day that I very rarely find ticks on my cats. I now know why. I also have raccoons and foxes. Thanks for that great info. Well, that sure beats getting rid of the excess deer by hiring Mountain Lions.